WELCOME! 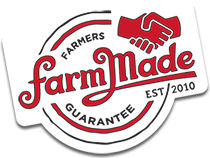 You must have received the invitation we sent to attend our summer picnic, FarmMade style. Thanks for finding the time out of your fast-paced busy lives to slow it on down a bit and sit with us a while! We just handed you some of our home-brewed Sweet Honey Lemonade and suggest you take a sip (good right?) along with a nice deep breath. Journey with us to the top of a beautiful mountain, high in the Ochoco National Forest. Say “OCHOCO” once and you’ll crave to say it again–or maybe even visit one day. Have you ever been on a picnic? Do you know what it takes to put one together? It’s one of the coolest country escapades you can go on, besides fishing, of course! First things first, and that is staking a claim to the perfect picnic spot. Where exactly is that, you ask? Anywhere your heart desires…really. Our hearts led us past acres of rolling farmland and straight up and into one of the most beautiful places on Earth. We live a stone’s throw from the Ochocos, which are chalk full of big Ponderosa Pines, White Fir and Aspen. The tree diversity is a treat for the soul and in stark contrast to its grassy prairies and meadows, which breed some of the most striking, colorful wildflowers around. 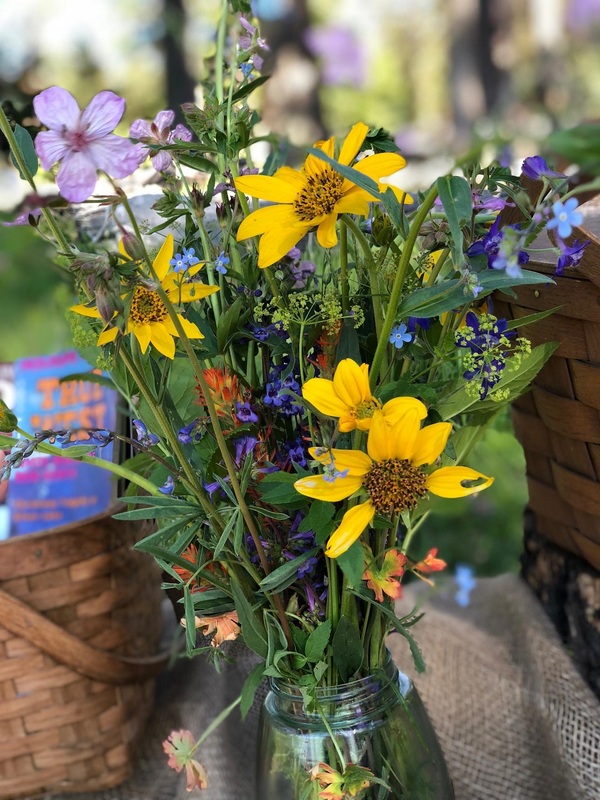 Just a sampling of these include: Indian Paintbrush, Blue Flax, Shooting Stars, Wild Peony, Yellow and White Wyethia, Larkspur, Blue Lupine and Mariposa Lily. So we had no problem collecting a big bouquet of them to set the mood. What’s a picnic without flowers? Oh! and don’t forget the ever important blanket. Take an old patchwork quilt, comfy sleeping bag or like we did, a red gingham linen tablecloth. Set your wildflowers on the flattest part of your picnic blanket. Bring a big cutting board which can act as both a flat surface for your vase of flowers and a place to set your drinks and food. 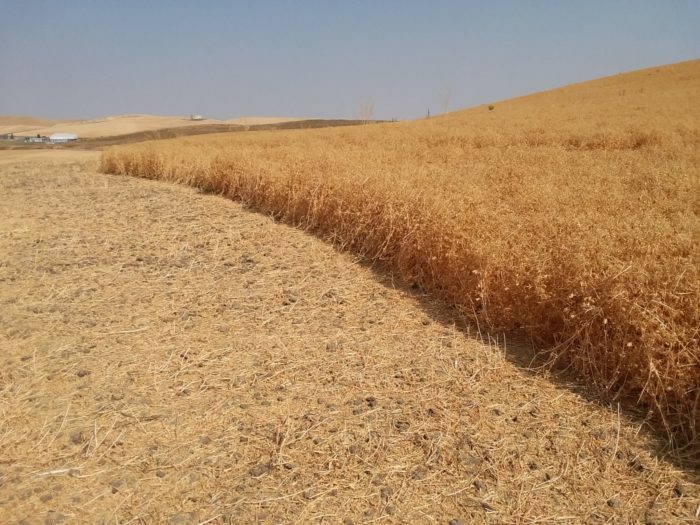 It can sure come in handy if you’re on an uneven or sloping ground. All the dreaming and scheming to get here, made us appreciate where we were, for one very special long moment. We stood there and marveled. You know it’s high time to dig in when your stomach is growling and you can’t wait a second longer. 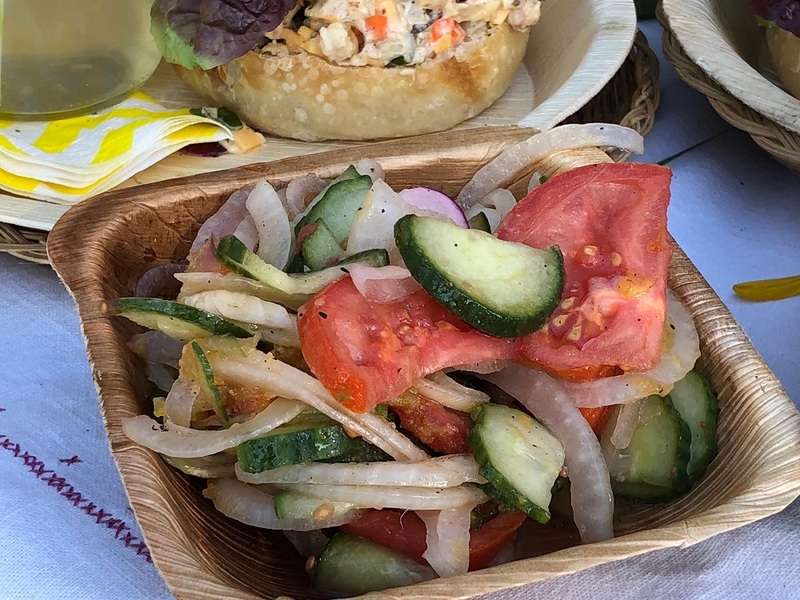 Everything we had so thoughtfully prepared was taken out of two traditional picnic baskets and dished into environmentally sustainable palm leaf plates and bowls. Using a basket woven plate liner holds it steady and helps when the food starts piling high. This is not the time to count calories! The menu can reflect days worth of researching the perfect picnic fare and can end up being quite elaborate. We settled on simple…’cause that’s how we like most things to be. 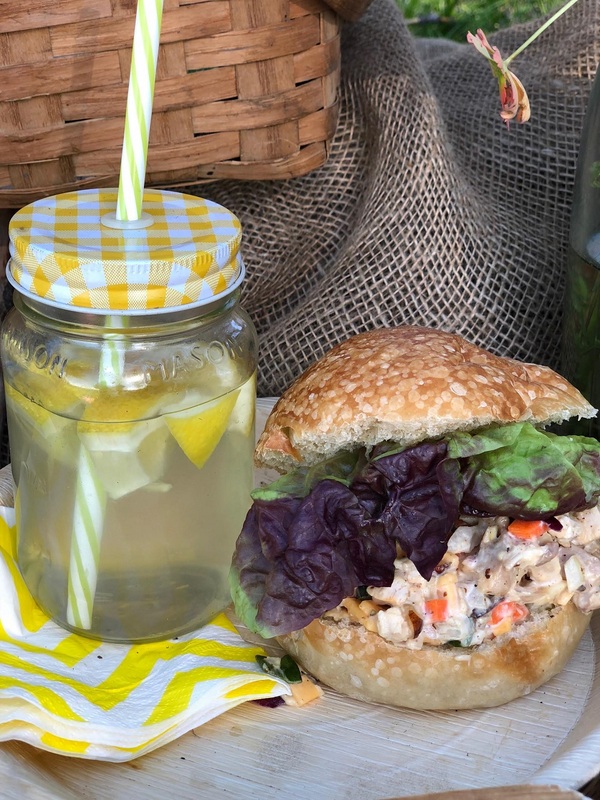 The menu consisted of Dr. Darling’s Chicken Salad (find the recipe below), Cucumber Vinaigrette Salad, Sweet Honey Lemonade and the most decadent of all pound cakes, Cruze Farm Buttermilk Pound Cake. 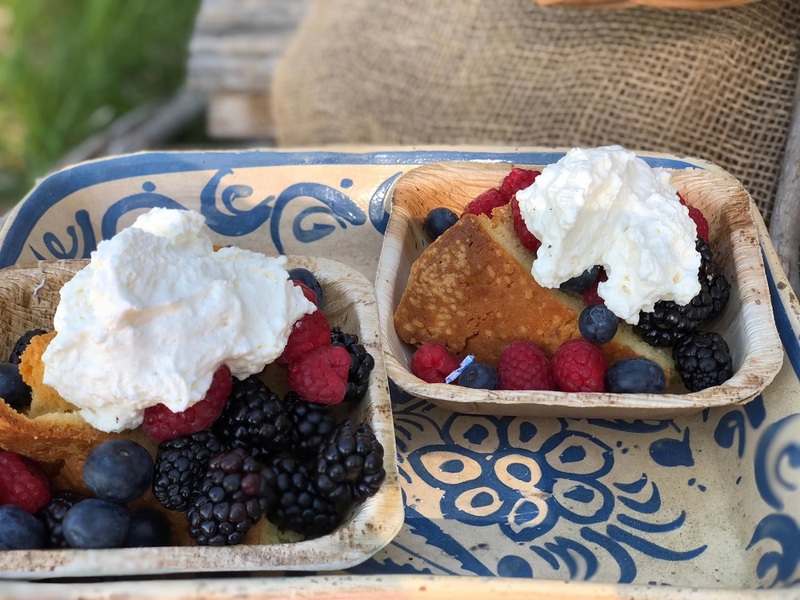 This pound cake is simply to die for, and topping it with homemade whipping cream and berries will send you straight to the moon! There’s something about “doing things right” that makes you feel all warm and fuzzy inside. The food was fabulous, the company even more so and the view superb. 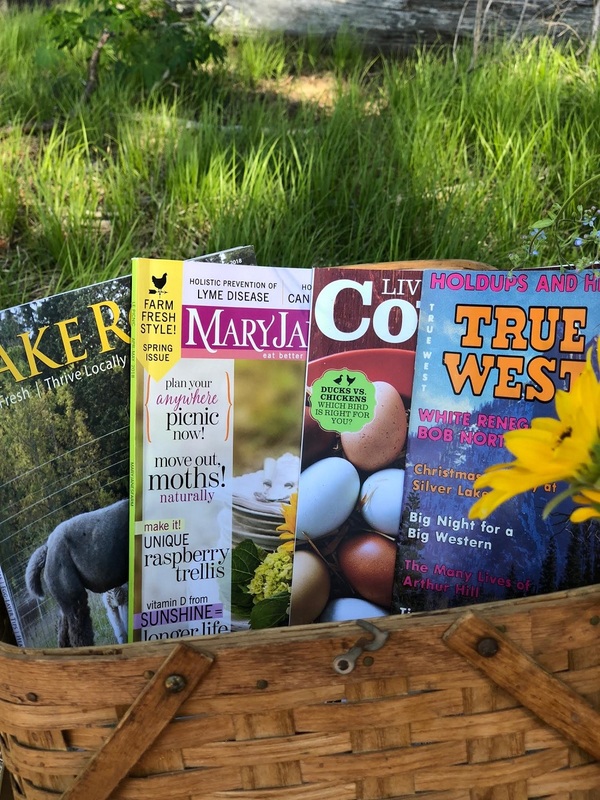 To make it last just a little bit longer, we brought some magazines to thumb through. Two of our favorites are Take Root and MaryJanesFarm. MaryJane is out of Idaho and if you have never heard of her, it’s time you perk up your ears and listen. 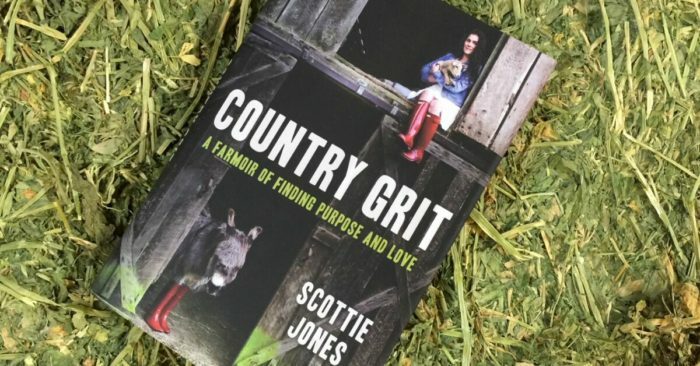 She is a continual inspiration to the farming community and anyone who dreams of becoming a farmer, rancher, homesteader or just a “farmgirl at heart”. 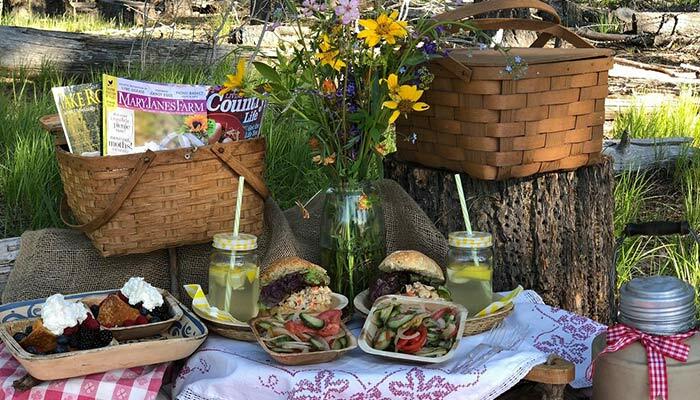 There is no time like this very moment to start planning a picnic of your own. Procrastination will find you this next winter wondering why the heck you didn’t listen to us! Gather your family and friends to start a new farm tradition or pick up where you left off the last time you went. Savor the summer-time moments before they soon fade into a memory. A sweet memory, mind you, that will be recollected for years to come. Happy Picnicking! We thought we’d pass on the fun and give away one of our Ochoco-infused picnic baskets. It’s the one to the right in the first photo above. Do you see it? 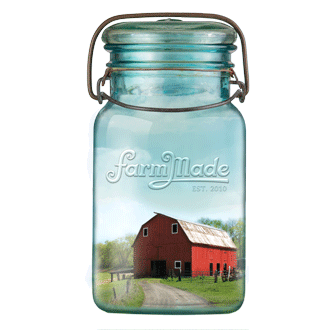 We broke it in for you FarmMade Style and will be filling it with farm products from our signature line and from other farmer/artisans on www.farmmade.com. How do you enter to win? 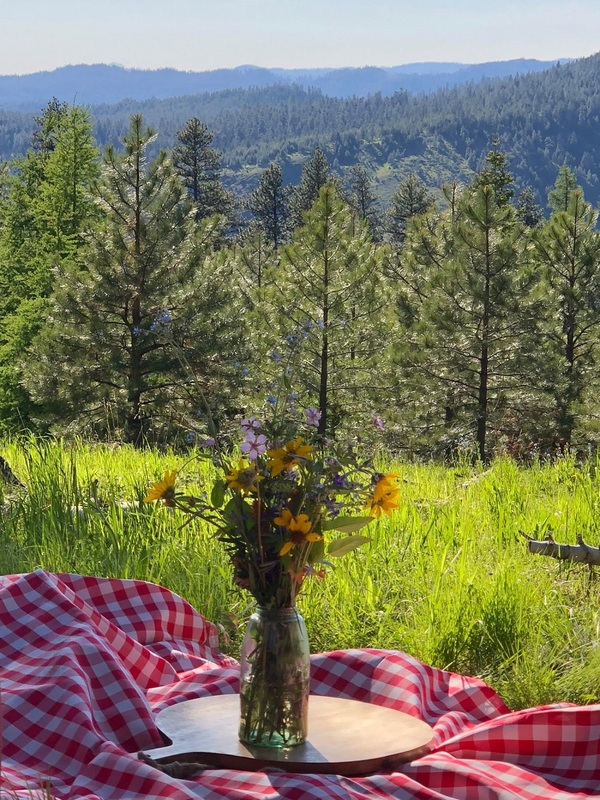 Leave us a comment below, telling us about a special picnic you’ve been on or are dreaming to put together soon. We will enter all names into the picnic basket and announce the winner in our next newsletter. 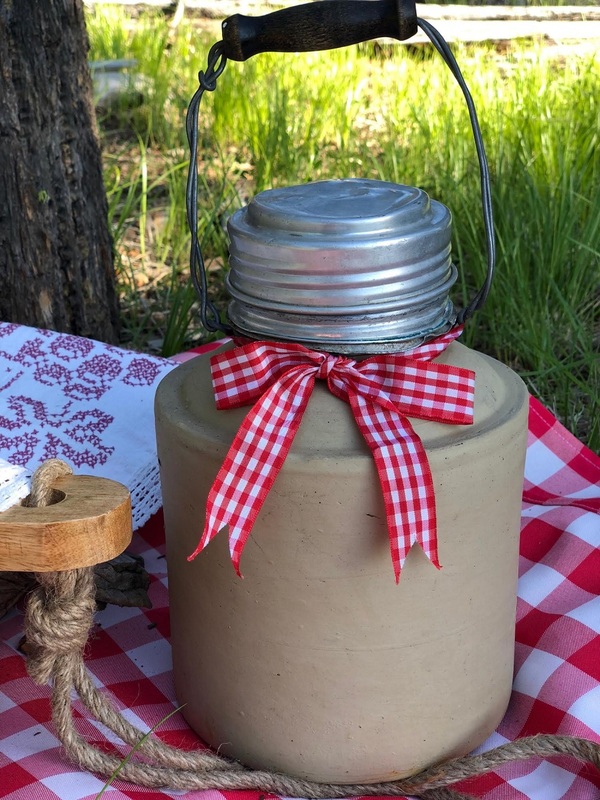 We welcome your picnic story contribution to our growing farm community! Learn more about adding your honey to our hive!